Your home is more than where you hang your hat. It’s where you raise a family. It’s your escape from the day to day rigmarole. And it’s likely your most valuable possession. We understand the value that you place in your home, which is why we treat your home as if it were ours. With all of our painting services, we take care to provide a pristine product. We’ll work with you every step of the way, from figuring out the big picture for your abode to hand-painting the smallest detail of your home. We’re proud to provide both interior and exterior painting services here in Greeley. 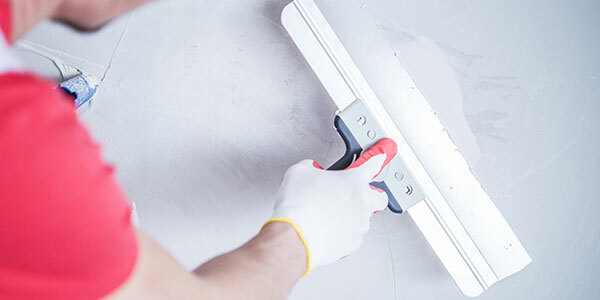 Plus, we offer a variety of additional services — ranging from minor drywall repair to power washing — so you can give your home a full revamp in one fell swoop. Here’s an overview of our interior and exterior painting services, as well as our additional home improvement services. Your home interior should be comforting, clean, and welcoming. Plus, it should have character that uniquely reflects your vision. We strive to make your home just that: yours. If you’re on the fence about painting your home’s interior, we’re here to convince you that a fresh coat of paint is well worth it. 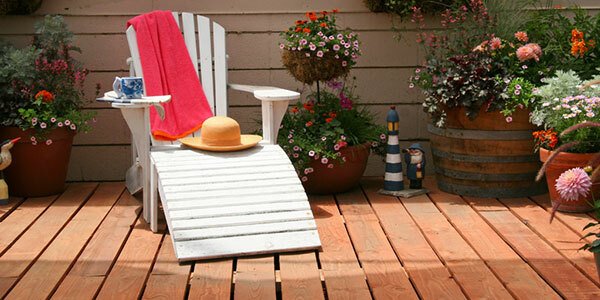 If you have old, sun-damaged, discolored paint, a new paint job won’t just look good, it will give your home new life. If you’re simply considering changing the colors in your home, interior painting will modernize your home, providing a new feel, as well as added value. Often, folks opt to paint their homes when they’ve just moved in, in order to give the home their personal touch — or, people paint their homes before placing them on the market, in order to give the house a more enticing aesthetic for homebuyers. Regardless of why you’re choosing to paint the interior of your home, we can assure you that Horner Painting is the crew to call. Here at Horner Painting, we aim to make interior painting as efficient and easy for you as possible. We work diligently every step of the way to ensure that you’re satisfied, and we work quickly so that you can get back to enjoying your home without a hiccup. Before we get started, we’ll give you a free estimate, and we can consult with you to decide on a design that suits your home, per your request. We can work with you to determine accent walls (if you’d like to have accent walls), and the paint colors that we’ll use throughout your abode. Then, it’s time to get to work. We’ll move and protect your furniture, and we’ll cover your floors and other features of your home with drop cloths to ensure that the paint ends up where it should, and nowhere else. We’ll also perform any repairs that you’ve requested at this time (e.g. drywall repairs). Next, it’s time to tape off corners, trim, and fixtures. And then, of course, we’ll prime and paint. Finally, we’ll clean up your home, returning it to its original state before we started. We also perform a comprehensive inspection in case we need to provide any touch ups. We’ll make sure you’re entirely satisfied before we head out. Here at Horner Painting, we’ve been providing interior painting services to the front range for the last two decades. We’re professional painters, and we’re proud to provide premier interior painting services here in Greeley. 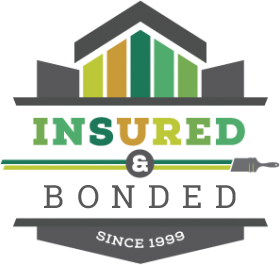 We’re insured and bonded, and we cover all of our work with a five-year, comprehensive warranty. When you call on Horner Painting, you can rest assured that you’ve counting on the best painting company in northern Colorado. Get started with a free estimate for your project, or give us a call if you have any questions. The exterior of your home doesn’t just protect its interior, it’s the first thing that you’ll see every day when you walk towards the front door. And it’s the first thing your guests will see when you welcome them to your abode. We want to make that first impression special. That’s why we provide premier exterior painting services — we understand that no detail is too small, regardless of the size of the job. There are many reasons to give your home exterior a fresh coat of paint. First and foremost, exterior paint protects your siding and trim, ensuring that moisture doesn’t penetrate the envelope of your home. Beyond that, a new coat just looks darn good. If you have a home that’s weathered, covered in grime and dirt, pocked with chipped paint, and plagued with sun-bleached splotches, a fresh coat of paint can work wonders to revitalize the image of your home. Plus, exterior home painting adds value to your home, which can help you to sell your home if you choose to put it on the market in the future. Painting the exterior of your home is swift and pain-free with Horner Painting. Plus, our exterior painting jobs are always thorough — we never miss a spot. To start, we’ll power wash your home to remove any dirt and grime that could interfere with the adhesion of your next coat of paint. We’ll also remove any chipped paint and repair any imperfections, per our service agreement. Next, we lay down drop cloths to protect your property from stray paint. Then, we’ll prime the exterior of your home — we always hand-prime spots that are particularly susceptible to damage. 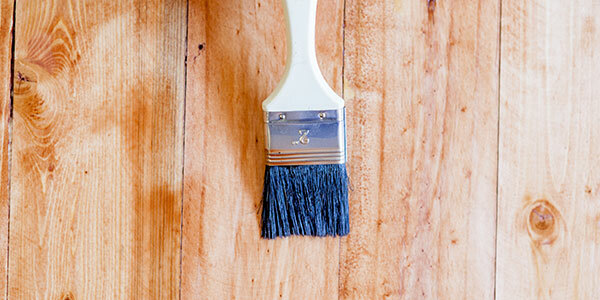 Finally, we’ll paint your home and its trim, and then we’ll promptly clean up. We aim to leave the area around your home just as we found it. We perform a detailed inspection of our work at the end of each project to make sure that every surface is perfect. At the end of the day, if you aren’t satisfied, we’ll make it right. Painting your trim counts, since it’s the accent of your home. We recognize the importance of clean, accurate lines when we paint the exterior trim of a home. We’ll do our utmost to ensure that your home looks pristine, all the way down to the smallest bit of trim. We can also consult with you to determine the perfect paint color for your trim if you’d like. Horner Painting has been providing exterior home painting services for folks here in Greeley for the past two decades, and we’re ecstatic to continually impress our clients with premier paint jobs. We bring experience, accuracy, and skill to the table, which means that we can provide a better product at a faster pace than our competitors. 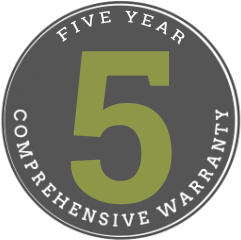 Plus, we back all of our work with an unbeatable five-year, comprehensive warranty. When it comes to your home’s exterior, there’s only one call to make. Get a free estimate for your project, or reach out to us if you have any questions about our services. When it comes to the paint on your home’s walls, color counts. And while it’s easy to apply a fresh coat of paint to give your walls a new look, it can be tricky to perfectly match the current paint color of your walls. Fortunately, we provide color matching services alongside our painting services, so you can make your walls uniform once again. We find that folks often need to color match paint in their home if a wall is damaged, if they run out of paint, if they’re painting new walls the same color as other walls in their home, or if they need to paint walls behind new or removed fixtures (e.g. towel racks, thermostats, lights). Regardless of why you need a color match, we can provide. We’ll get an exact match with your current paint, to ensure that your wall has a consistent look. Take note, we also provide repair services, including minor drywall repair, if you need to fix your wall before we coat it with a matching color. 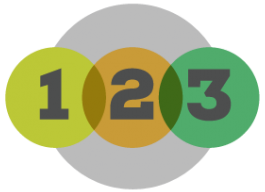 Color matching is a relatively simple, yet high-tech process. To start, we’ll collect a small sample of your current paint. Then, we utilize a professional color analyzer and paint mixer to create the perfect color and shade of paint. If it’s a complete match, we’ll apply that paint to your wall. We understand that precision counts when it comes to color matching. After all, you want a wall that doesn’t even look color matched, it looks as if it were painted all at once. We’ll make sure that your new paint coat looks just the same as the old, regardless of the lighting or the angle at which you look at the wall. If you’re ready to get started, you can reach out to us or get a free estimate. Drywall is strong, but it’s not impervious to scratching, puncturing, and other damage. When you end up accidentally shoving a doorknob into your drywall, don’t fret. We provide minor drywall repair alongside our painting services, so that your home is whole again. 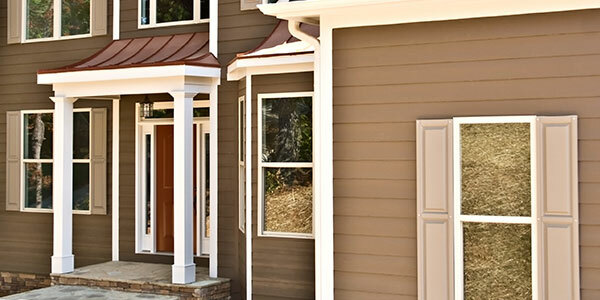 Siding ages just like the rest of your home. And, since siding endures all of this Colorado weather, it can warp, crack, and fail. When your siding isn’t holding up, you can count on us for repairs and minor siding replacement. We don’t just paint homes. We can paint every surface on your property, including your fencing and railing. If you want to give your whole property a new look, we can get it all done. 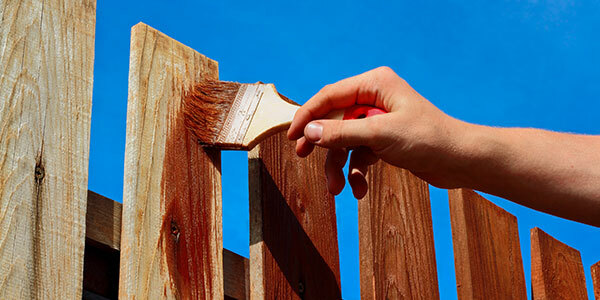 Let us give your fencing and railing a fresh coat of paint. Caulking and glazing help to protect your home from moisture and heat loss. If you have old caulking that’s failing, we can remove it and apply a fresh, clean line. 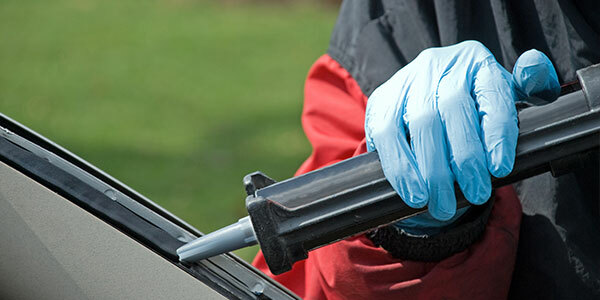 We provide caulking and glazing services for windows, doors, and more. 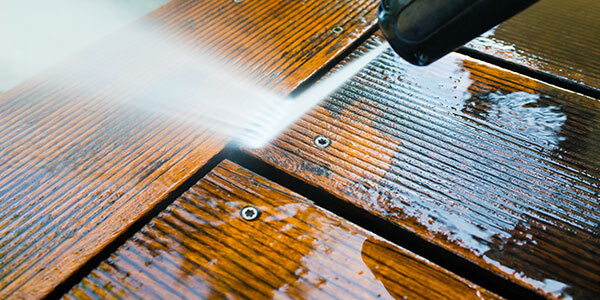 We can stain or paint your deck, deck railings, and patio cover to give your home the complete treatment. Plus, painting and staining these surfaces provides further longevity, on top of a better aesthetic. Do you need to seal wood structures on your property? We can help. We provide varnish and clear coat applications, to give your wood structures added protection and a more beautiful sheen. We always power wash your home’s exterior before we paint, and we can power wash other surfaces around your property while we’re on site. We’ll peel through dirt and grime to give your surfaces that brand new look. Yes, we paint garages and basements too. If you have a detached garage that can use a new coat, or you’re painting your recently finished basement, we can help. 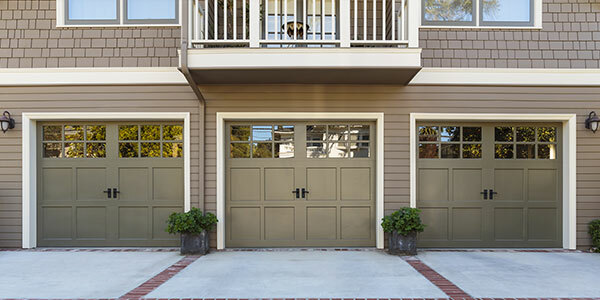 Painting your garage or basement might just be the final touch for your property. We’ve said it before, but here at Horner, we treat your home as if it were our own. We strive to provide unbeatable painting services and unparalleled customer service, so that you get the best experience from start to finish. Plus, our dedication doesn’t end when we finish your project, we back our work with a five-year, comprehensive warranty, so you can rest assured that your home will look perfect for years to come. Our policy is simple: If you have a problem, we’ll fix it. If you’re ready to experience the Horner Painting difference first hand, don’t hesitate to get a free estimate, or reach out to us to get started. We’d be ecstatic to help you with your next project.